Semi-transparent white paste. Smell: no typical smell. Flavor: chemical. Premium grade emulsifier gel for cake manufacturing. *In the EU and some other countries: up to 0.85% in plain cake, due to limitation of propylene glycol usage (EU - 0.1% allowance in the foodstuff). Water, mono- and diglycerides of fatty acids E471, glycerol E422, propylene glycol (propan-1,2-diol) E1520, propylene glycol esters of fatty acids E477, salts of fatty acids E470a, sodium hydroxide E524, calcium chloride E509. a. Propylene glycol esters of fatty acids E477: <20%. b. Propylene glycol E1520: <11%. 2) Any recipe, advice or technological assistance related to the implementation of the PentaCake Gel is given by Pentaor as a gratuitous general advice for further trials to be done by the bakery. 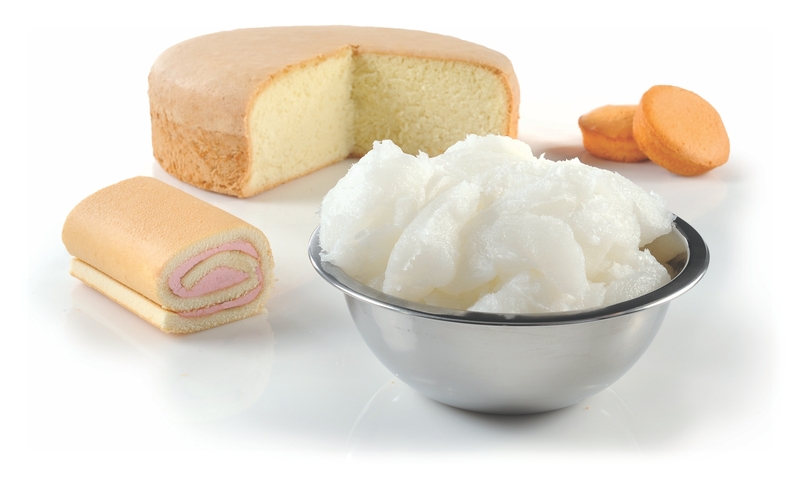 The PentaCake Gel is not a long-life cake improver and there is no guarantee to the shelf life of the final cakes. It is the responsibility of the bakery to ensure the conformity of the product to the laws, regulations and patents in force in the countries where it may be implemented. At least 12 months in closed original package, stored in proper conditions.